A $30 box of Rice Krispies was worth writing home about. Sewing pillowcases from pagne fabric was so exciting that I had to Skype my friend in Virginia. Our morning oatmeal topped with cheap passion fruit was worthy of photographic documentation. I couldn’t stop collecting stories from the new people who suddenly surrounded me. I clearly remember walking to my neighbor’s house one night thinking excitedly, “I am walking…in Africa!” and wondering if I should write a poem. Now, everything about my life seems either too complex to describe, or just not worth it. A few weeks ago I tried to write a fluff piece about the blue tins of Nivea lotion that are ubiquitous around Kinshasa and before I knew it, I was going on about globalization. Other things, I just forget to mention. I don’t notice anymore that it’s weird to pay $40 for laundry detergent, soak your veggies in filtered water and vinegar, stop your car conversation briefly to say “pas aujourd’hui” to a seven-year-old beggar, or pop a live worm out of a person’s skin. These events are ticked off neatly in the daily rhythm of life. I don’t honor them with the thought I once did. 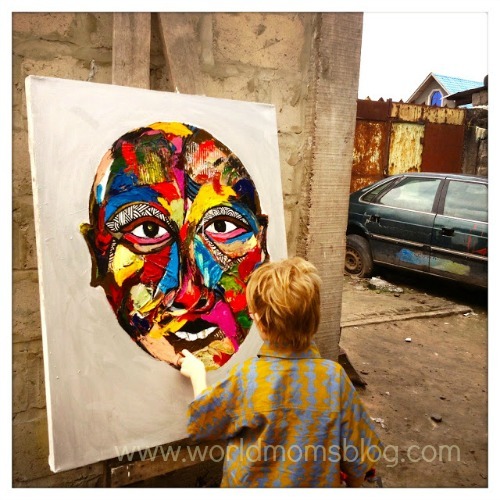 When I sit down to write about my life in Kinshasa, my mind is blank. Sometimes I tell myself that this sudden block is self-preservation. After almost three years, the compounding effects of this city are just too much. In order to function as a nurse and a teacher and a mother and a friend and wife, I can’t stop and ponder every injustice; whether it’s my righteous indignation at the price of the imported fruits I can very well afford to buy, or the story my gardener tells me about the three pregnant teenagers he and his wife feed every day, sometimes giving up their own portion of dinner to do so. At other moments, I pardon myself by remembering that my lack of enthusiasm is the natural progression of time and familiarity. The honeymoon period with Africa has passed and now I’m just living life. No wonder I don’t hold my pillowcases in rapt reverence anymore. They’re just my red and white pillowcases, getting a little grimy and thin with age. The sellers of trinkets tap at my car windows and I greet those that I know with an open window and a few words and ignore the others. It’s not dramatic, it’s the way to the grocery store. Then there are the times I berate myself. I’ve become comfortable in my pretty bubble. I let it happen. I cancel French lessons to go to kickboxing class. I allow my housekeeper to buy fruits and veggies for me instead of trekking down the hill to the market and doing it myself. I haven’t learned Lingala. I’ve never seen where the woman who helps me raise my children lives. I’m ridiculous for not being able to write about the Congo. I’m not satisfied with rice and beans and spend hundreds of dollars on imported food that sometimes goes bad before it’s eaten. I don’t listen enough and complain too much. Just another expat. My parents came to visit Kinshasa just after Christmas – their first time. I felt sad that I couldn’t seem to muster excitement for showing them “our life in Africa.” I couldn’t seem to tap into that newcomer’s elation and share it with them. I hardly took any photos (usually an obsession) and was uninspired by the shots I did snap. My suggestions for food, sights, and experiences were halfhearted. I couldn’t figure out what to do. Even in retrospect, I can’t figure out what I could have done to give them a more authentic experience of my home – which I consider to be wonderful in so many ways. Trying to provide a planned glimpse into my contradictory life proved impossible. Congo is often described as a country of vicious contradictions: a land bursting at the seams with diamonds, coltan, and fertile dirt yet home to some of the poorest people on earth. NGO workers throw up their hands in frustration and spit nails about failed projects over too many drinks at night. Many of my Congolese friends struggle with the creeping knowledge that they’ve always truly believed it will get better, and it never has. No one I’ve asked has any great ideas. Everyone is just doing the best they can. I’m not sure what to do with the reality of the Congo I know, so I do the very best I can. Sometimes, that means that I throw myself into the stories of those around me, asking questions I know will lead to heartbreaking tales. Sometimes I read Celebrity Baby Blog instead of Congo Siasa. Sometimes I eat beans and rice. Sometimes I complain loudly about the price of my cereal and buy the box anyway. Sometimes I talk incessantly about the number of mothers and babies who die in this country every day to people who I know are not interested. Sometimes I hear my daughter speaking Lingala and smile proudly. 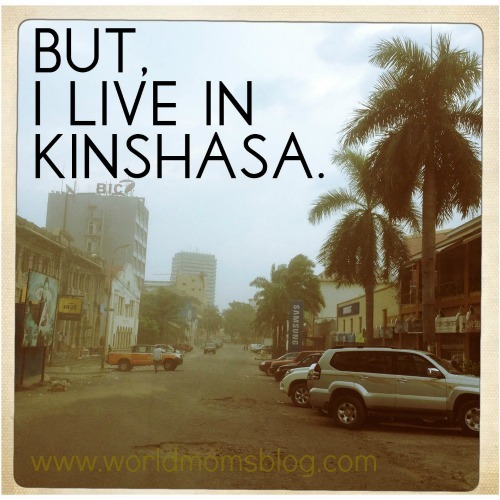 Sometimes I fret that when I no longer live in Kinshasa, all I will want to do is live in Kinshasa. What things about your life are too complicated to talk about or even ponder? 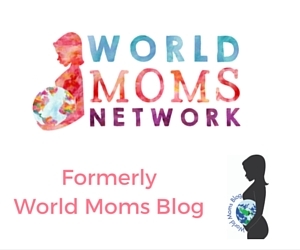 This is an original post written for World Moms Blog by Jill Humphrey. 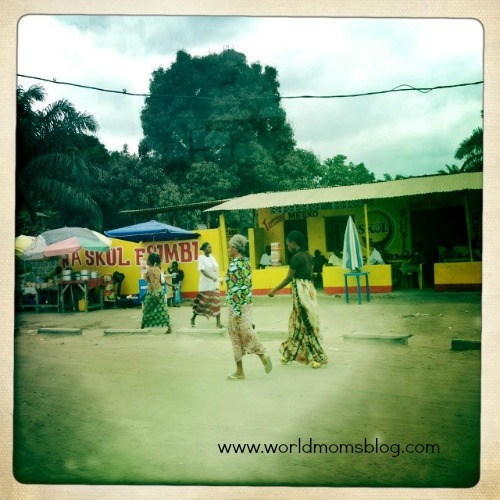 You can find Jill blogging with Sarah Sensamaust at Mama Congo. I’m not an expat, but you write so well about your dilemma of living in Kinshasa, that I can feel your pain and pride all the same. I don’t think I have this kind of huge dilemma in writing about something, but I have a small one. After three years of struggle, hard work and networking, I managed to get the job of my life, a permanent position as a scientist, which is really hard to get. I should be so proud! But there are too many times I wished I could just stay at home with my kids… It’s the old carreer versus family dilemma. My family will always come first. But do I need to give up my career to make it work? I can’t figure out myself what I truly want, and I’ve tried writing about it, but it doesn’t work. Yet. All I have to say is WOW. I’m sure you are not the only one going through this!! Expat, or not, we all live in our own bubbles. This week my washing machine broke. I was annoyed. But, then felt really guilty. How ridiculous for me to be annoyed!! After I watched women in Uganda wash their clothes at the end of a lake laden with crocodiles. I think your post shows exactly how thoughtful you are. You are thinking about these things. You are AWARE that your skin is getting tough to the differences, and you know that you have the power in your mind to make the decision on how to live each day. Don’t put pressure on yourself to be and act perfect. None of us are. We are only human! Take three things you wish you had done, like visit the woman’s home who helps take care of your children. Tackle those. Buy your fruits and veggies this week. Remember, you are there helping bring life to babies. No one expects you to do it all! Thank you for sharing this post with us!! Remember that you are brave to choose to live your life away from home, from the bubble of home, and to be helping the community around you! I really appreciated this post. Thanks so much for your honesty, Jill. Self-awareness is so important – in any situation. Keep doing the best you can! At the end of the day, that’s all that any of us can do. I think most of us are the same way in each of our own lives, too busy with day to day to savor the details, but sometimes I know I stop and do try to live that way. I spent a month traveling overland through what was then called Zaire in 1991. When anyone asks the question which of the over 55 countries I’ve traveled to around the world is my favorite, for sure an impossible question when I have seen so many spectacular places, yet my answer is always the place your home at the moment. I loved the people and the topography and the wildness of the country. Of course that was before the war broke out and has wreaked havoc since so I am sure it is a different country than I experienced in a way. I still can get the special flavor of the place from your writing though. Try to take just one photo a day of one thing that is special each day and it may help you look for those moments again. What a beautiful post! It is written from the heart and full of honesty. Thank you for sharing! Incredibly well-written, and honest, Jill. You have put so many of my thoughts about having been an expat into words. Thanks for this. Jill, I love this piece! I began doing humanitarian aid work in 2005, and started out the same – being enthralled and overwhelmed by every gigantic beetle that flew by my head, every child playing with a homemade wire Land Cruiser toy. 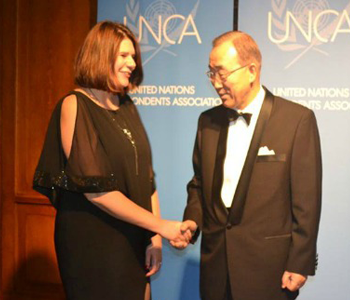 I wrote epic emails home about my work in cholera treatment centers, therapeutic feeding tents, and IDP camps. And slowly, the emails stopped going out. It felt stupid to write about what had become my everyday life, even though I knew it wasn’t very “every day” to my friends and family at home. I didn’t want to belittle what was happening around me with what I felt like was a trite email. But the day-to-day IS spectacular, even if it includes taking your kids to the upmarket restaurant with a playground, or paying a fortune for imported Claussen’s dill pickles (my most recent transgression). I love your insights – thank you so much for sharing! Your feelings are universal Jill! As humans I think we always think about what we don’t have and don’t live in the moment often enough. Like K10K, I work full time, and my job has been taking me away from my family lately. When I am home, I long for the quiet and calm, waking up in the morning without having to feed the kids and pack lunches…when I am in the hotel I miss the chaos that having a 3 and 7 year old bring, I miss cuddling and reading with my kids, and their goofy antics. The fact that you are aware is the first step. Just try to live more in the moment and less in the “if i were back home”. Good luck! This is so well written. I can feel the tension that you live with as an expat in a developing country. I can relate so much of what you said to our own life in Madagascar – should i feel guilty or blessed that i can ‘escape’ every two years to gorge on dairy products that we cant get in Tana? I suppose I’m learning, after 8 years here, that it’s important to take one day at a time and focus on being an intentional presence in the here and now. And also enjoy the blessings of life here. It does not help the poor for me to live in guilt. It does help if i do what i can, when i can, how i can, and trusting that it fulfills my Calling. I’ve grown to appreciate the tension though, as it helps me remember more consistently to be thankful and humbled for what I have been given and to be generous with it. I love your post (and the several reader comments as well!)! Thanks for sharing! I feel that way about life in Abu Dhabi too in part because I’m warier now about the all too visible contradictions around me: the Maseratie pulling out in front of the street-cleaning laborer subsisting on god knows what who hasn’t seen his family in Goa for god knows how long. The contradictions seem too complex now to capture in a simple snapshot and I feel weird, somehow, about playing in to the appetites of those who don’t live here and who want to see “the way it really is.” And then I think, well, but these contradictions, as complex as they may be (visible or invisible), should be documented. And then I disagree with myself and say, like you, yeah, well, that’s just life here and I’m late to work so…. It’s an odd, and sometimes uncomfortable, part of the adaptation process, I think: the unfamiliar (and picturesque) becomes familiar… The good thing is that you’re noticing this unfolding acclimatization, and I hope also taking notes: it’s not as if you’ve become oblivious, and that, I think, is the truly dangerous path. Lovely post. Thank you. I would have really dirty laundry if I had to pay $40 for a bottle of detergent. Eek! Great post! This sums up many of the feelings I’ve had off/on over the years I’ve lived as an expat in five different countries. Currently I reside in Sweden and even HERE (I’m sorry to say this), but I get frustrated. It’s normal. A lot of it has to do with expectations and the syndrome of burn out that we all face trying to lead temporary lives in countries that will never truly be our home. But we do the best we can and I’d say you’re doing as good as any of us:). Thanks for sharing!